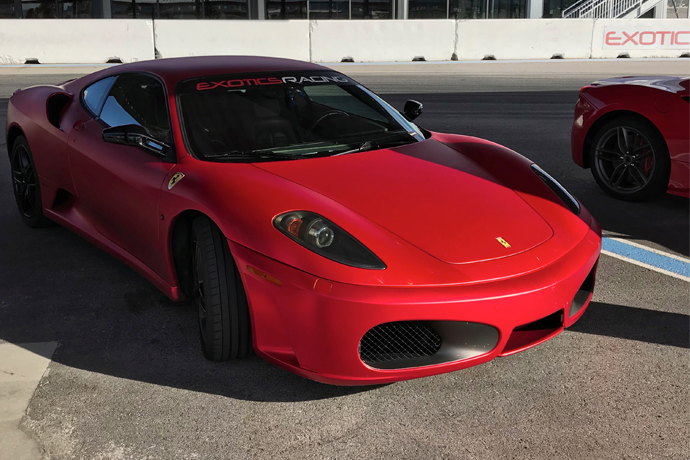 Don your finest diadem, hop on your figurative horse and begin the long journey to Casterly Rock (by which we mean, Midtown Manhattan): your royal presence or whatever is requested at Lannister's Lair. Yes, yes. 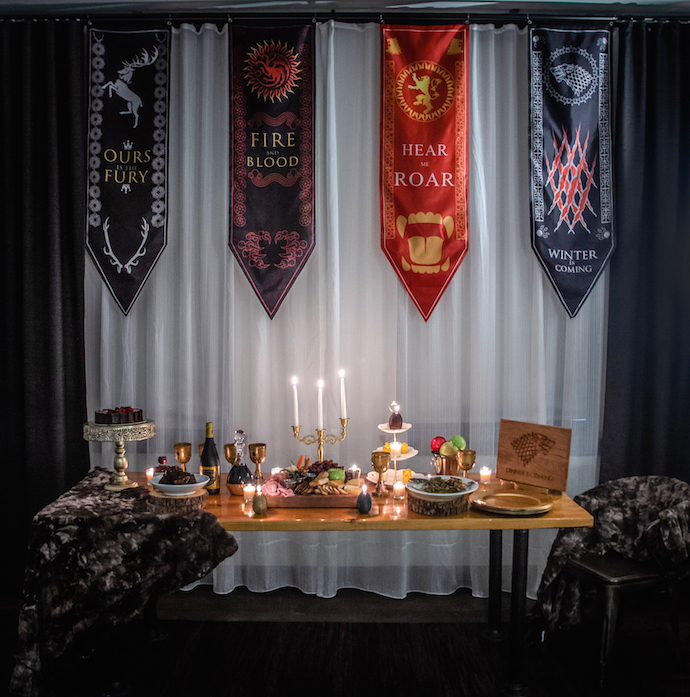 That's what the stately Refinery Hotel, formerly an early 20th-century garment factory, is calling their Game of Thrones suite, available every Sunday from April 14th (when the eighth and final season premieres) through the end of the season. You can make reservations now for the ultimate binge-cation, which is a fake word we'd really prefer not to use but unfortunately applies here. 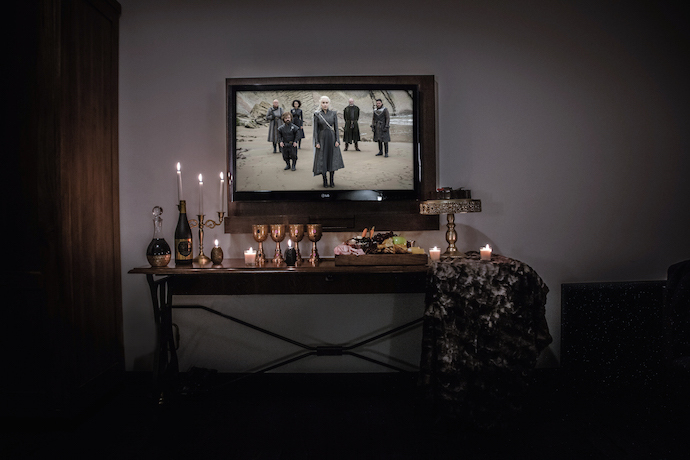 Do: Invite your GoT-loving friends over to the suite to catch up on last season before the premiere; the suite has over 400-square-feet of open loft space, 12-foot high concrete ceilings, a full living room-like area and comes outfitted with HBO Go. Don't: Invite white walkers, wights or any other aggressively undead folk. They tend to make a mess. Do: Order a "Dragon Snack" to your room, otherwise known as a 16oz boneless ribeye. Do: Feel free to pour yourself a glass or three of locally-distilled Hudson Whiskey. Don't: Let Cersei have any. She seems like a pretty evil drunk. Do: Orchestrate an incredible in-room, candlelit feast with goblets of the House Lannister's Refinery Hotel's signature wine, grilled branzino, pork shank and assorted meats and cheeses. Don't: Chant "Hear me roar" at the top of your lungs while you stuff your gullet with the aforementioned feast. Do: Drape yourself in a fur throw as you retire to your throne (in this case, your king-sized bed). Don't: Demand the execution of anyone while you're up there. Do: Feel free to turn this into a kind-of-romantic staycation or weekend getaway with your GoT-loving partner. Don't: Make it weird and invite your twin to a suite called "Lannister's Lair."